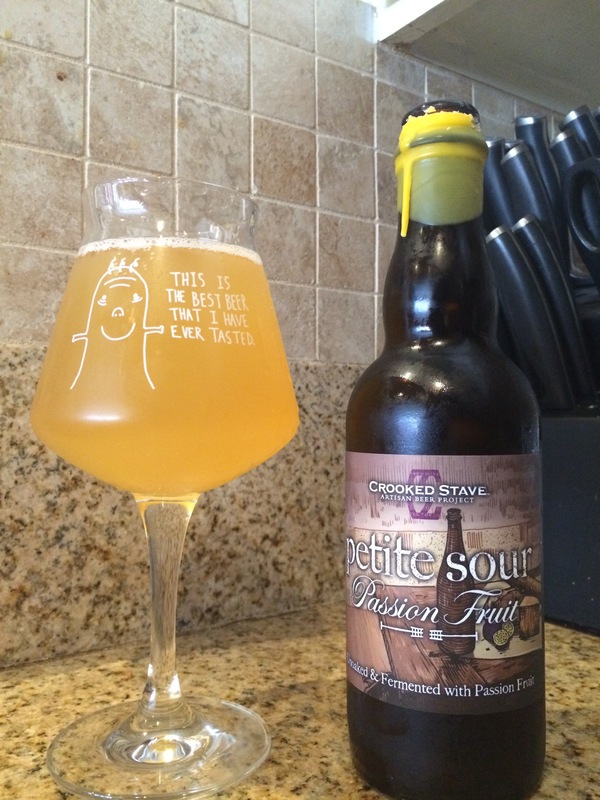 @crookedstave Petite Sour Passion Fruit, a gentle if not forgettable wild addition to CS’s stellar quiver of ever-increasing musky arrows. Let’s set the record straight, this is a very tasty beer. It is understated and demure like Banana Republic neutral basics you can always turn to regardless of the capricious winds of couture. That being said, it lacks that crimping point for those sour boulderers who want something to latch onto in a flavor profile. It isn’t exceedingly sour, nor does it jam your bung with fruits. It exhibits a faint chalky musky like gypsum and twine but that isn’t the real star either. This is the beverage equivalent of an ensemble movie where all the parts are well oiled and you can crush the gentle acidity and mango water with rapacious delight. If you need a title character and hated Crash and Magnolia, maybe this isn’t for you. You can always go drink flaming fury if you want to point at something. This is moving in it’s simplicity and if you have ever suffered through a lecture from someone really into Vienna lagers, they will tell you endlessly that the clean simplicity is the hardest task in brewing. Except in this case we aren’t addressing pedestrian smoked pilsners, we are talking about entering the sour octagon and getting Vaseline rubbed on your broken wounds. Is this good? Sure. Is it fantastic? I guess it depends on if you like outside stimulation or deep penetration. It is a soft fruity hug where the middles don’t touch, but you know it means it. You can do far worse, but perhaps you could drink Brett d or grand cru and do far better as well.